Bhubaneswar: Odisha Chief Minister Naveen Patnaik inaugurated a 100-bed super specialty eye care hospital in Ganjam district. Funded by Tata Steel the hospital has been set up at Samarjhola village under Hinjilicut block. “I am very happy to see the hospital on ground within a short span of one year. I am sure that this hospital will become a pioneer in eye care treatment in the region,” the Chief Minister said. “I am thankful to Sankara Eye Hospital and Tata Steel for this noble initiative,” he added. The hospital, which is to be operated by Sankara Eye Hospital of Tamil Nadu, will offer modern eye care services to the people of Ganjam and nearby districts, said a statement. Tata Steel has extended financial grant of Rs 42.3 crore for the construction of the hospital and allied infrastructure including equipment. Built over 4.5 acres of land, the eye hospital will offer services comparable to the best corporate hospitals at an affordable cost, the statement added. Tata Steel MD T.V. Narendran said the company is proud to be associated with such an initiative and will continue to strengthen its relationship with Odisha through such initiatives. 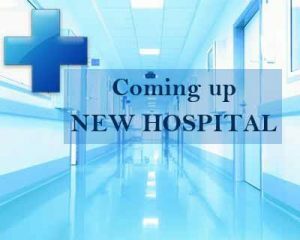 The hospital will provide facilities like comprehensive eye care, investigations and outpatient treatment, low vision clinic, contact lens clinic, special clinic for children, day care options, micro phaco cataract surgeries for spectacle free vision, glaucoma services and many more. Health Minister Atanu Sabyasachi Nayak, Higher Education Minister Pradeep Panigrahy, Forest and Environment Minister Bikram Keshari Arukha and several BJD MPs and MLAs were present.